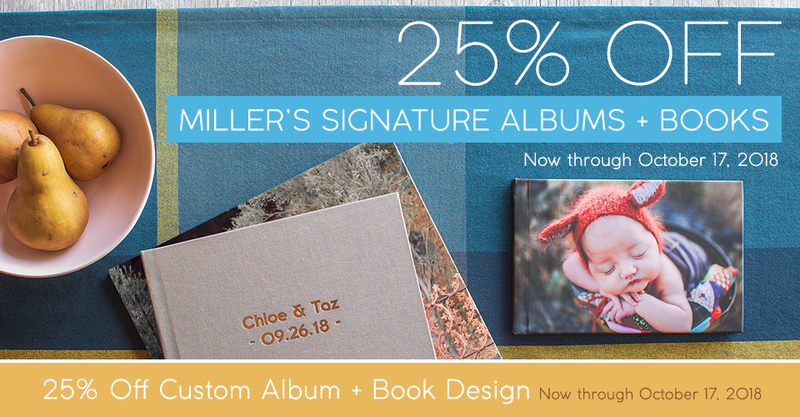 …25% off Custom Book Designs through 9/20/18. 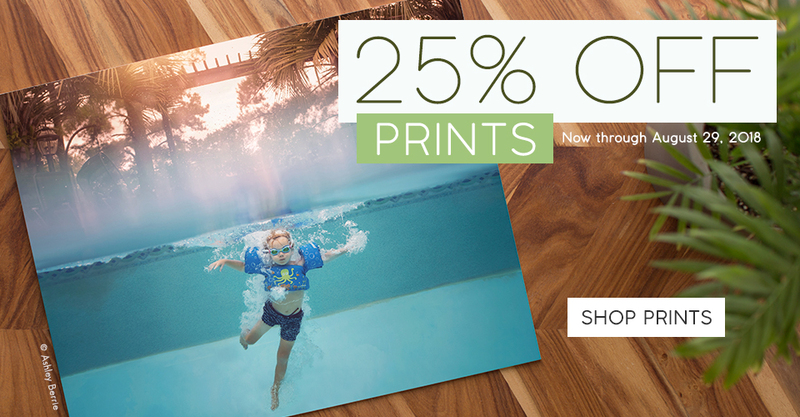 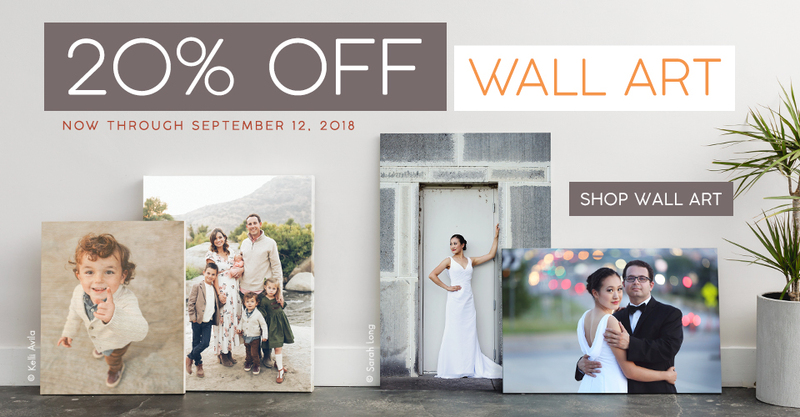 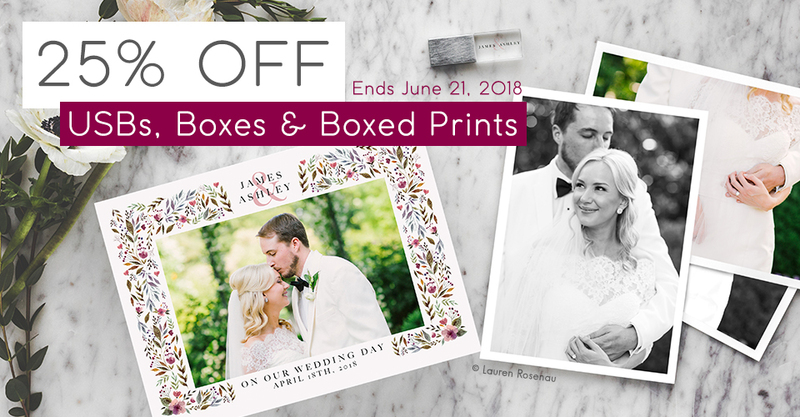 Save on Photographic Prints and Dream Prints through 8/29/18. 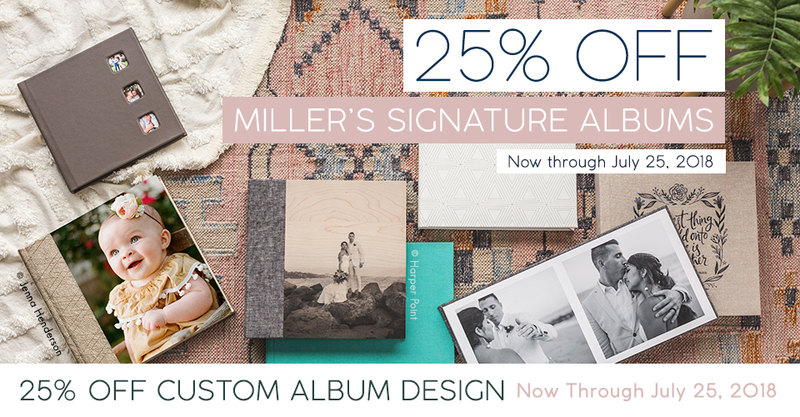 …and 25% off Custom Book Designs through August 16th. 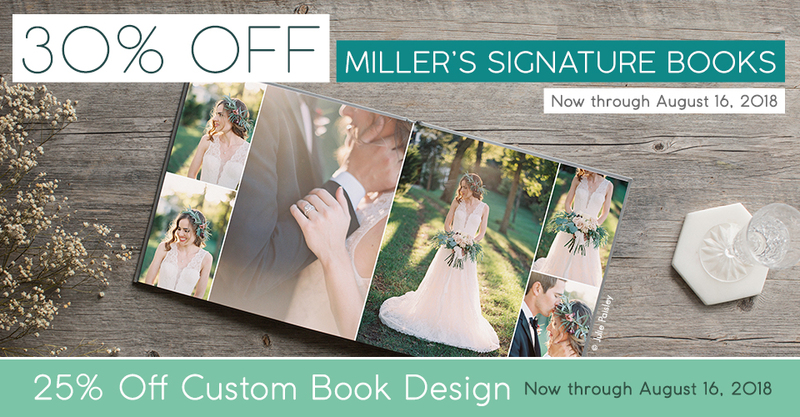 Deliver an unforgettable experience with personalized presentation. 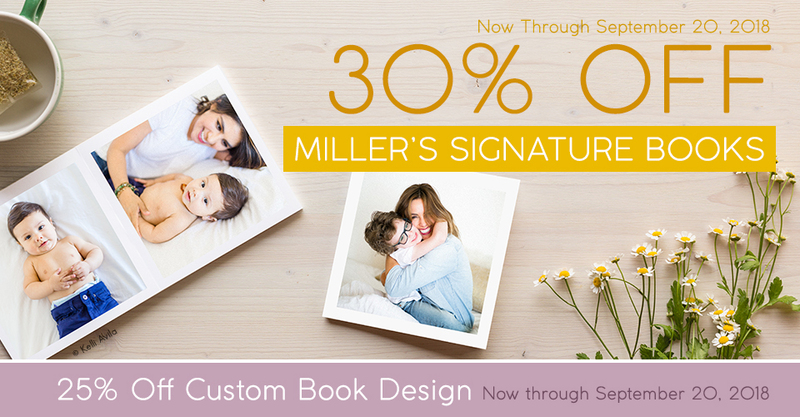 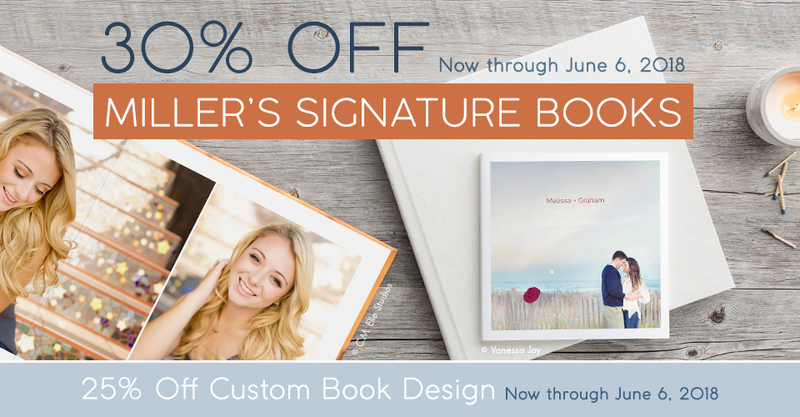 Save on Miller’s Signature Books and Custom Book Designs through June 6, 2018.